Being someone who’s all about health and wellness, and with a background in sales, I’m often approached by direct-selling companies about representing their products. I’ve been asked to represent supplements, ketones, CDB oil, cosmetics, essential oils etc. I am actually a doTERRA rep, but since statistically, one in three people you know is a doTERRA rep, you don’t need to buy from me. (You can if you want. Click here). While I found most of those products good, they didn’t get me fired up the way Beautycounter does. For years, I was like many people (maybe you), and went to great lengths and expense to buy organic, natural and local foods, while at the same time, buying whatever hair and skin products were on sale. So, while was downing my organic kale green smoothie, I was allowing all kinds of toxins into my body through my skin and hair. Sound familiar? I first heard of Beautycounter from a couple of gals with whom I went to college. I knew they were both passionate about health and wellness, so I became interested. After a bit of research, I found out that this is an awesome company! 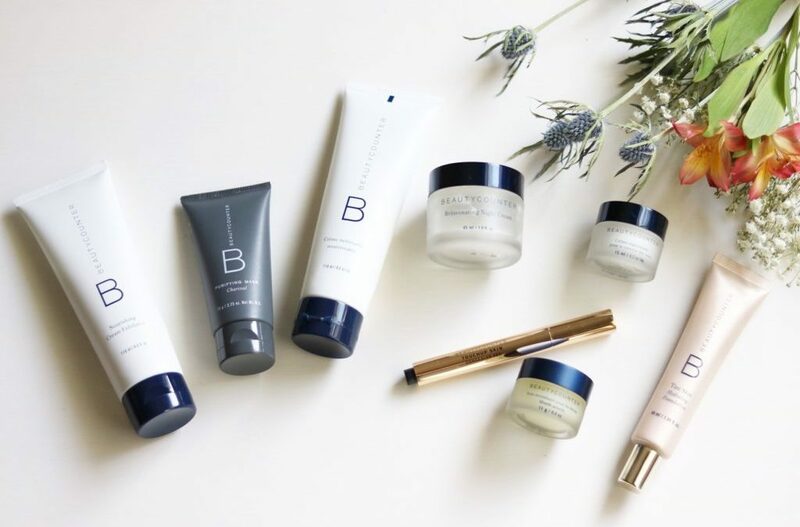 First of all, Beautycounter is a B-Corp. B-Corps are companies which meet rigorous standards of social and environmental performance, accountability and transparency. Beautycounter discloses every ingredient in every product they sell and has a Never List, of over 1,500 toxic or potentially toxic ingredients that will never be found in their products. I think what hooked me though, is Beautycounter’s commitment to advocacy and education. If you know me, you know I’m a bit of a political junkie, so anyone who’s willing to go to Washington and advocate for health and wellness is a star in my book! Beautycounter actually advocates for stricter regulations in the beauty and cosmetics industry. Have you ever heard of a company lobbying for more regulations in its own industry? Oh, and their products are wonderful. I encourage you to check out Beautycounter. Let me know if you’d like to try it out. You don’t have to host a party (though you can if you want) or become a rep too (again, you can if you want). Just try putting some safer products on your body, and your family’s bodies. Don’t counteract all that healthy food & yoga with toxic cosmetics. Beautycounter products make great gifts too. Last day to order for Christmas delivery is December 17. I wish you a joyous holiday season!